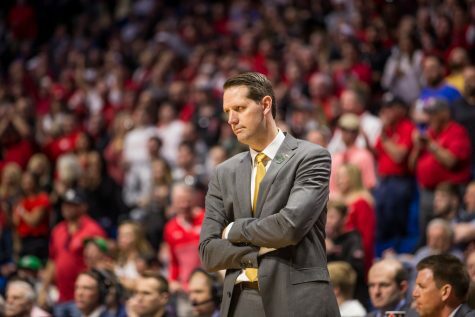 The Northern Kentucky men’s basketball team snapped their two-game losing streak by upsetting No. 2 Southern Indiana University 68-56 on Feb. 18. Senior center David Palmer led the way for the Norse with 15 points and nine rebounds. Freshman forward Corey Sorrell added 14 points and junior guard Dennis Gagai contributed 12. Southern Indiana University (23-2, 14-2 Great Lakes Valley Conference) came out strong against the Norse and played competitively in the opening minutes. With the score tied at eight at the 11:30 mark of the first half, NKU put together a 16-6 run over the next six and a half minutes and headed into halftime with an 11-point lead. The Black and Gold maintained their lead for the beginning of the second half, but when SIU put on a full court press seven minutes in, the momentum appeared to shift in SIU’s favor. With 6:53 left in the game, SIU tied the game at 49 with a pair of free throws. Despite the number of close games that have escaped the Norse this season, NKU did not let this one slip away. A steal by Scott Bibbins led to a transition three-pointer by Dennis Gagai, which gave NKU a five-point lead after Tony Rack hit three free throws on the possession before. The next play down, Dennis Gagai drove it to the basket and laid it in for two, which added to NKU’s 19-7 run in the fi nal six minutes to close out the game. “Doing this after two really tough losses on the road says a lot about our makeup,” Coach Dave Bezold said. “We may not have looked good at certain times, but they’ve picked it up. 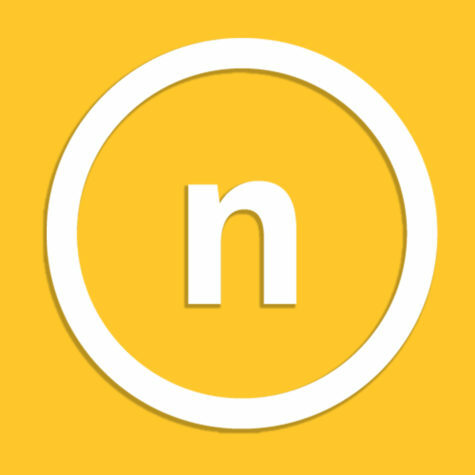 Generally, we’ll fi nd a combination of guys who are going to play really, really hard and sometimes they’ve gotten themselves into a hole too big to get out of, but they’re al- ways battling,” Bezold said. SIU is the fourth ranked team NKU has beaten this season. 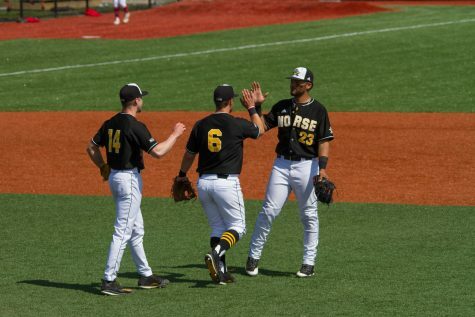 On Feb. 20, NKU was visited by the team that handed the Norse their first conference loss of the season, the University of Indianapolis (12-15, 6-12). In their last meeting Dec. 3, Indy narrowly escaped the Norse 55-54 with a game-winning free throw. 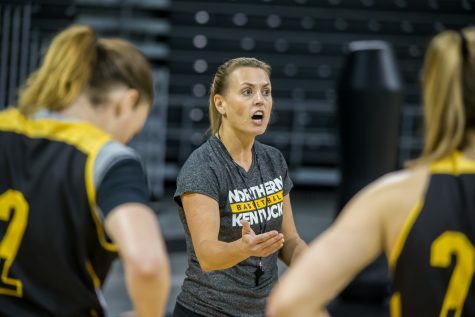 This time, however, NKU was on the other side of the outcome as they defeated Indy 65-61. On his senior night, David Palmer was the go-to-guy for his team like he has been all season long. He carried the Norse with 20 points and nine rebounds and the supporting cast of Dennis Gagai’s 15 points and junior forward Yan Moukoury’s 10 points helped NKU to their second straight win. 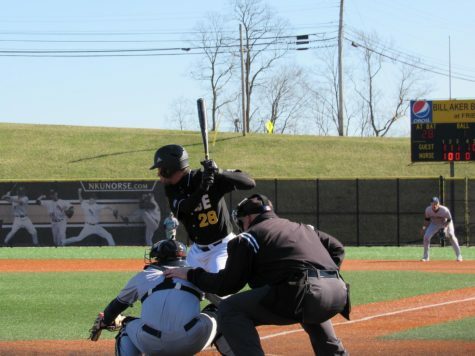 NKU clinched the third seed in the East division of the GLVC tournament with this victory. David Palmer played only one season with NKU but his impact was felt immediately by his team, and their opponents. He’s averaged 17 points per game and pulled down eight rebounds per game and leads the team with 48 blocked shots on the season. 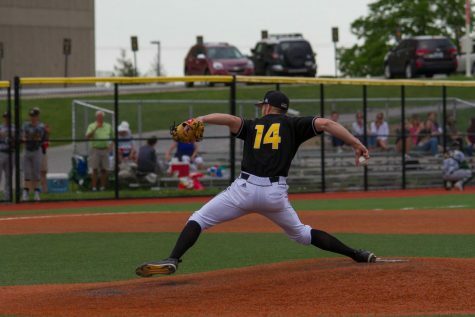 He originally transferred from Seton Hall University after his freshman year to Iowa University. 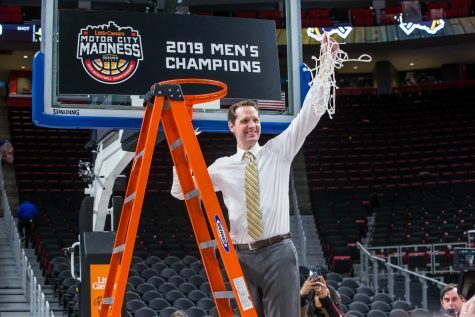 After playing two years at Iowa, Palmer landed right here in Highland Heights, Ky.
“It wasn’t just a good season for me — it was a good season for everybody,” Palmer said. “We didn’t win as many games as we would have liked to because we had a lot of close losses early in the season, and we had some guys go down, but we kept pushing and working hard and believing — and down the stretch we put together a lot of big wins. We’re going to keep building off that, keep it moving, and we’re going to keep playing one more game, one more game, one more game, and hope it takes us far,” Palmer said. The other senior NKU will be graduating is guard Scotty Bibbins. 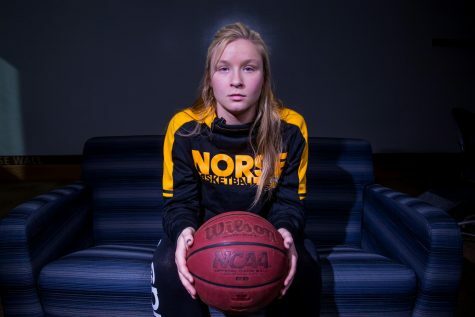 Bibbins has been the offensive catalyst for the Norse in his five seasons with NKU. He averaged eight points per game and dished out 118 assists on the year. Bibbins also leads the team in steals with a total of 26 this season. Coach Bezold says Bibbins has been through a lot – the big games of conference tournaments, the big games of NCAA tournaments, so nothing is going to faze him. He’s going to be able to handle the situations and he’s the guy he (Bezold) can always fall back on if things aren’t going well for the team. “We’re starting to find our stride,” Bezold said. “We are the one team on any given day that can beat anybody in the nation, and nobody else has proven that but us. There’s only one other team in the conference that can say that and that might be Kentucky Wesleyan. But nobody else has had those wins that we’ve had. 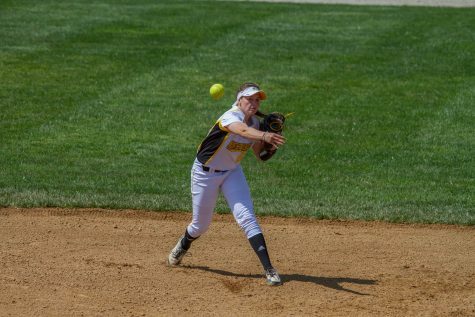 When you get to this time of the year, your job is to play one more game – to play well enough to get yourself an opportunity, and that’s what we’re going to do,” Bezold said. 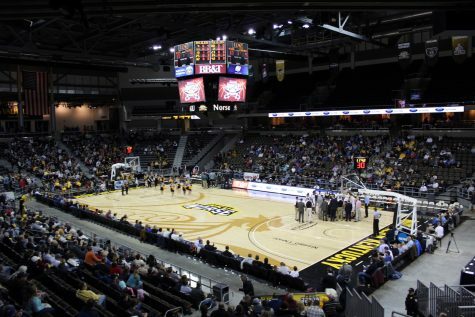 NKU will play Missouri S&T at 1 p.m Feb. 27 at St. Joseph’s. The winner of that game will play St. Joseph’s on Feb. 28. NKU topped Missouri S&T in their last meeting 72- 54 Feb. 6.